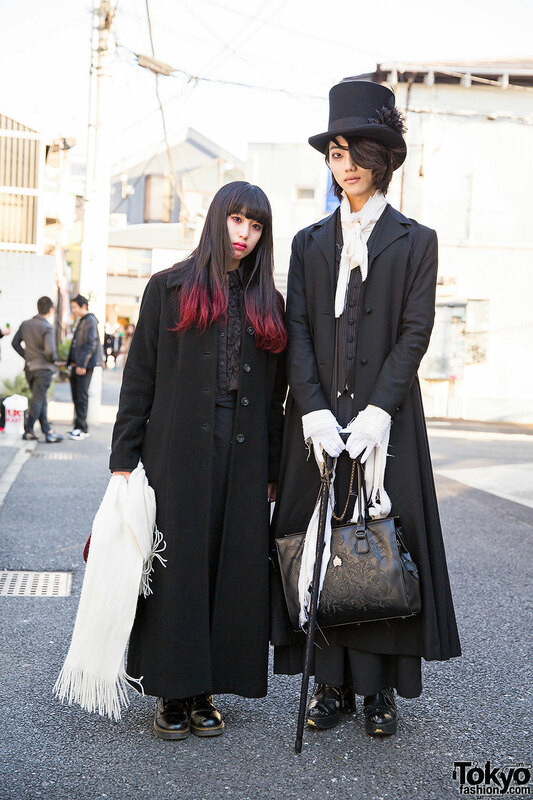 Harajuku guy in mixed prints and vintage street fashion. 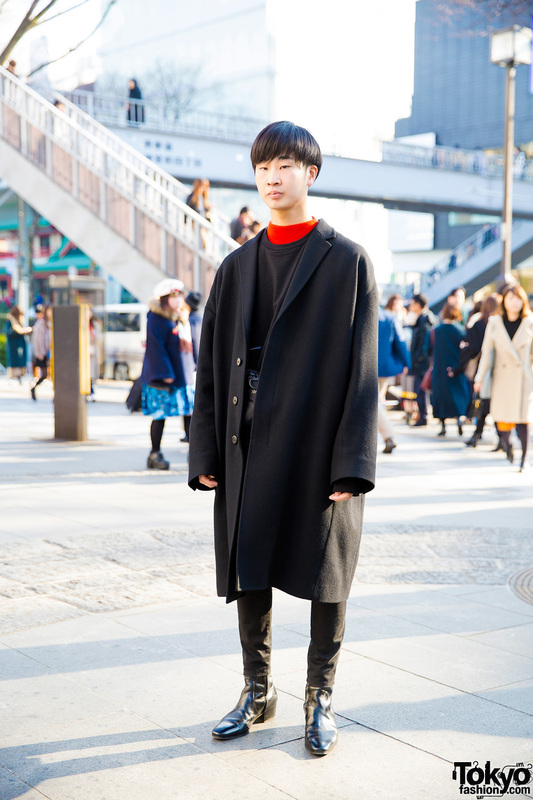 Harajuku student sporting an all black minimalist outfit with contrast red turtleneck while out on the street. Harajuku guy in black and white beanie, glasses, sweatshirt and skinny jeans with creepers and clutch. 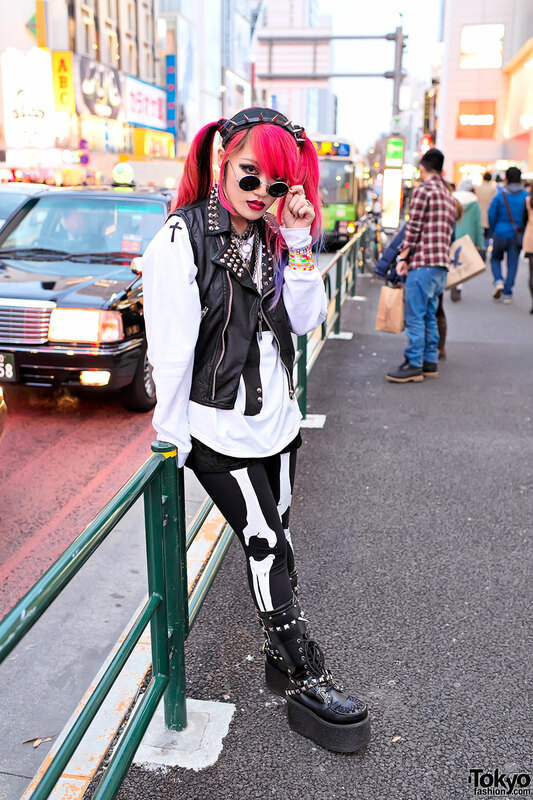 Harajuku rocker girl with a customized leather jacket, Demonia platform boots & Vivienne Westwood bag. 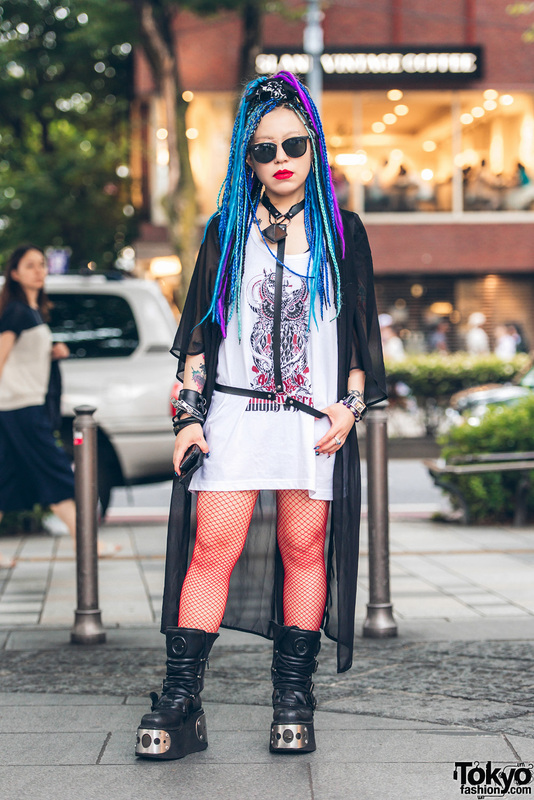 Japanese high school student with pink-purple twintail hairstyle, studded vest, and spiked platforms in Harajuku. 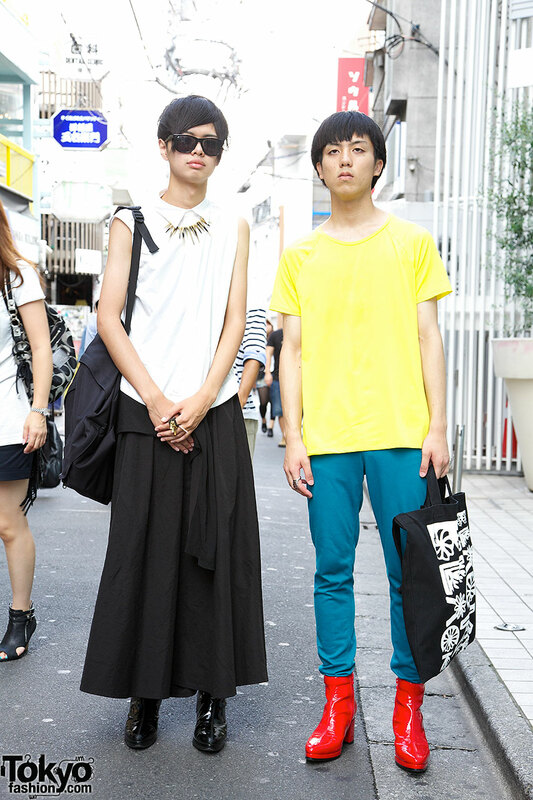 Short haired guys in Harajuku, wearing pointy patent books and Comme des Garcons bags.